Corsair Blue Vengeance with a low profile design is a powerful memory module designed for high performance SFF and Mini ITX PCs. 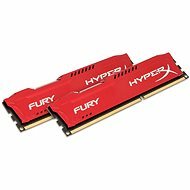 This kit includes a pair of DDR3 modules with a total capacity of 16 GB. The modules work at 1600 MHz, which allows them to achieve solid CAS latency (CL10-10-10-27). The dual channel technology and low voltage offer the optimal combination of performance, low response time and decreased power consumption. The kit supports XMP 1.3 profile enabling easy overclocking of compatible motherboards. Corsair Blue Vengeance features a passive cooling system with a ribbed aluminium heatspreader which provides superior temperature management and improves overclocking potential. Unlike DDR1 and DDR2 modules, DDR3 offers higher frequency and lower power consumption. This module has 240 pins like DDR2 but to prevent their misuse, the notch is repositioned. Passive Cooling, XMP, Low profile Done! For shipping to other EU countries visit this page Corsair 16GB KIT DDR3 1600MHz CL10 Blue Vengeance Low Profile. 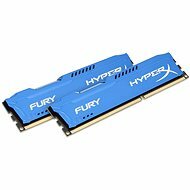 Für Versand nach Deutschland, besuchen Sie bitte Corsair 16 GB DDR3 1600MHz KIT CL10 Blau Vengeance Low Profile. Chcete doručit zboží do Česka? Prohlédněte si Corsair 16GB KIT DDR3 1600MHz CL10 Blue Vengeance Low Profile. Chcete doručiť tovar na Slovensko? Prezrite si Corsair 16GB KIT DDR3 1600MHz CL10 Blue Vengeance Low Profile. 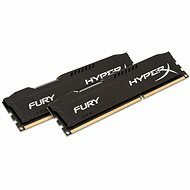 Für Versand nach Österreich, besuchen Sie bitte Corsair 16 GB DDR3 1600MHz KIT CL10 Blau Vengeance Low Profile. Magyarországra történő kiszállításért tekintse meg ezt a termékoldalt: Corsair 16GB KIT DDR3 1600MHz CL10 Blue Vengeance Low Profile.